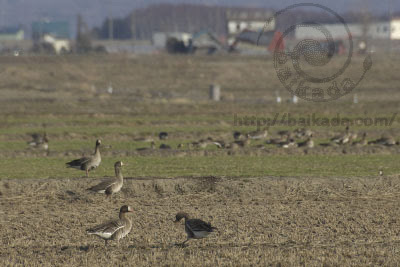 When I went to Chitose airport, I saw winter birds that I couldn’t saw in Jozankei. Waxwing is called “Renjyaku” in Japan. The pronunciation resembles “Ranger”. The TV program “5-Ranger” had been broadcast in Japan in old times. Because it was about time when Goose returned to the north, I did my best and went for an outing. There were many goose. 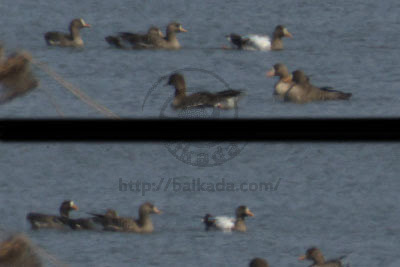 However, the willpower in search of a rare kind (lesser white-fronted geese etc…) did not have me from that. I reported it in that because I found two wild geese which bound a neck with a mark. However, I lost physical strength very much. When return, I wearily. I thought that he seemed to be a bullet. Because a feather is very minute, I am different from the soft feeling in Wax wing sp, and he seems to be a bullet. Because the point of the tail is yellow, they are called “Ki renjyaku” in Japan. It is the meaning that “Ki” calls yellow. The kind that the point of the tail is red is called “Hi renjyaku” with the same kind. “Hi” is a meaning of the red. There seems to be no resistance of the wind, and he flies away like a bullet, but is not too good at the way of flying. He can flap hard and do neither the gliding nor the rapid turn. He look alike White-cheeked Starling (Sturnus cineraceus) and how to fly well. And, the sizes of them are also almost the same. I sometimes make a mistake when he fly alone. I had parents take me to the sea with parents incidentally. I watched a gull and a duck slowly in the sea very after a long absence. 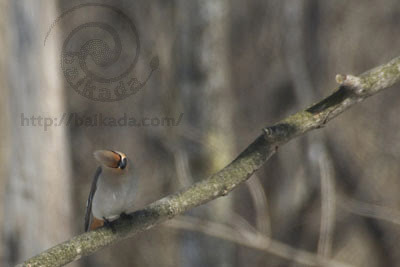 Because I saw that a small bird flew in the distance silently, I took a photograph. 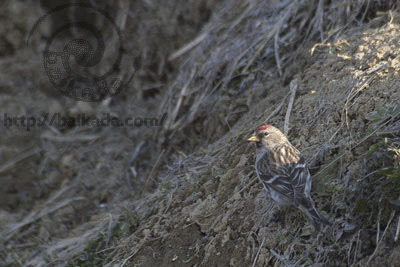 I did not think that I could identify the kind of the bird with the photograph. It’s miracle.